“When you encounter uncomfortable situations, you can either decide to be victim or an over-comer. Always choose to be an over-comer. Grace is within our reach to be an over-comer.” – Lailah Gifty Akita. From the day we are born, life throws us with many curveballs as we try and navigate through life trying to find our feet. Hailing from the dusty streets of one of South Africa’s most notorious townships, Alexandra, Samuel Mazibuko decided he would not let his challenging circumstance hold him back and chose to be an over-comer. The 20 year old Adaptive Curriculum Skills Program (ASP) learner joined Sparrow Schools Combined School in 2010 after dropping out of a mainstream school because of learning difficulties he was experiencing. The ASP is a programme introduced in 2014 through collaboration between Sparrow’s academic specialists, learner support services and special education practitioners. 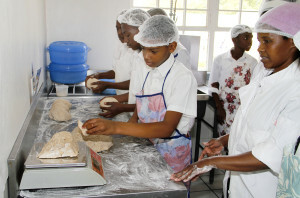 The program aims to design a suitable environment for learners with learning difficulties. The focus is on transferring practical skills to learners who are cognitively impaired and struggle coping with the academic curriculum. 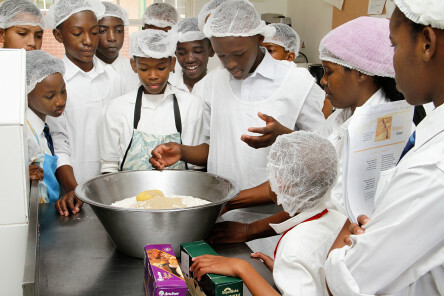 The learners enrolled in the ASP have an opportunity to learn various skills ranging from baking, sowing and agriculture. Mazibuko has now turned his life around and has now been selected to be a Teacher’s Assistant at the Combined School’s bakery. “Sparrow has been hectic but also amazing. I have learnt a lot of skills which I never thought that I would,” Mazibuko explains. Through his journey at Sparrow and the ASP, Mazibuko has now grown to become an ambitious young man. He aspires to one day own a bakery. He also would like to use the sowing skills he learned in the ASP and make his own clothes and transfer the skills he learned back into his community. Judging by his work ethic and focus, we at Sparrow have seen him realise his potential and we have no doubt that he will realise his ambitions. The Blog is under construction and will be back up and running ASAP.